The Pacific Highway Upgrade is Australia’s largest road infrastructure project to date. It has been underway since 1996 with plans for it to finish in 2020. We are currently working with CPB Contractors on 34km of Pacific Highway upgrade linking the Maclean to Devils Pulpit section to the south and the Richmond River to Ballina Bypass section in the north, worth around $365 million. It is part of the larger $4.9 billion Woolgoolga to Ballina project, the last stage in the entire Pacific Highway Upgrade. The upgrade of the highway has already started to support regional development and provide safer and more reliable travel, reduced travel times and improved amenities for local communities. Our work is related to the upgrade of the Pacific Highway to two lanes in each direction, building seven new bridges and the associated road works including ground treatments, earthworks and road surfacing. We are the major contractor for the supply of truck and dog trucks. 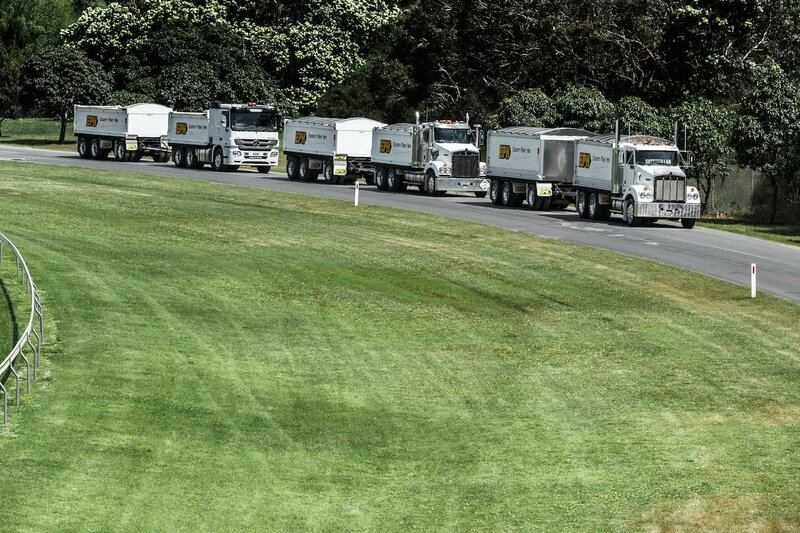 At our peak we were running 33 truck and dog trucks moving fill around the project site and hauling other materials too and from the Woolgoolga to Ballina project site. The Pacific Highway links Queensland to Newcastle and it’s upgrade, providing four lanes of traffic consistently has meant major improvements to the travel time and safety of the highway. The Woolgoolga to Ballina section alone has provided over 3000 jobs and reduced travel time in the area by 25 minutes. The project has been funded by both the Federal and New South Wales Governments providing a safe and efficient channel for freight and passenger travel through New South Wales. It doesn’t matter if your project is worth millions of dollars or just a few thousand, we’re ready, geared up, kitted out, fully trained, and all fuelled up for any project that comes our way. To get started, give us a call today on 1300 037 437.